The Hudson River Maritime Museum, as a 501(c)3 non-profit organization, is governed by a volunteer board of trustees. To contact a board member, please use our contact page. More biographies coming soon! Board members are listed in alphabetical order by last name. Robert L. Burhans is currently a consultant in health emergency management including the preparedness, response and recovery from health emergencies. Immediately after 9/11, he was appointed to serve as the first Director of Health Emergency Preparedness for the New York State Department of Health (NYSDOH), With 34 years of public health experience at both the state and local level, Mr. Burhans led the state’s Office of Health Emergency Preparedness, which coordinated NYSDOH’s comprehensive all-hazards preparedness and response activities, including integrating local health departments and the state’s health care system in readiness and response activities. He was a member of the Department’s Executive staff, and NYSDOH’s primary preparedness liaison with federal, state, and local agencies, and key community partners. He served on the State’s Homeland Security Executive Committee and was NYSDOH’s representative to the State’s Disaster Preparedness Commission. Prior his appointment as Director of Health Emergency Management he served in progressively responsible positions in environmental health. Mr. Burhans also served as Deputy Commissioner for Emergency Preparedness and Response for the New York City Department of Health and Mental Hygiene. His tenure with the City included the response to Superstorm Sandy. He was a founding member and chair of the Association of State and Territorial Health Officials’ (ASTHO) Directors of Public Health Preparedness Executive Committee and a member of the ASTHO Preparedness Policy Committee. He was a member of the Institute of Medicine’s Committee on Prepositioning Medical Countermeasure for the Public, and was a member of the organizing committee for the National Alliance for Radiation Readiness. He has been actively involved in the development and improvement of the National Health Security Preparedness Index, first as a member of the Model Design Committee, and now as a member of the Robert Wood Johnson Foundation’s National Advisory Committee. He is member of a multi-disciplinary team at Johns Hopkins University, School of Public Health developing a system’s dynamic model of community resilience (COPEWELL). He is also a Thought Leader for the National Public Health Information Coalition (NPHIC). Mr. Burhans earned a B.A. in Biological Science from the State University of New York, New Paltz, and has completed graduate level coursework at the Nelson A. Rockefeller School of Public Administration and the State University of New York (SUNY) at Albany School of Public Health. He is a graduate of the SUNY Albany School of Public Health’s Northeast Public Health Leadership Institute and has completed the National Preparedness Leadership Initiative at Harvard University’s John F. Kennedy School of Government and School of Public Health. Robert Carlzon was born 8-12-1927 in Brooklyn, New York and lived there for the first 12 years of his life before moving to upstate New York. He is a graduate of Kingston High School, class of 1945 and Colgate University class of 1950 with a Bachelor of Science degree. Robert worked for five years for the S.S.Kresge Co. (forerunner of K Mart) and became an agent for State Farm Insurance. He retired in 1995 after 38 years and never having a down year. Robert obtained the prestigious Chartered Life Underwriter degree after another five years of study. He served as president of the Life Underwriters Association, as well as many years in the Kingston Kiwanis Club. He is also a life member of the Friends of Historic Kingston. He was married to my wife, Dolores , who died in 2014. They have two children and two grandchildren. L. David Eaton is currently the Vice President of Enrollment Management at the State University of New York at New Paltz. He received his Bachelor’s degree in Philosophy his Master’s degree in Public Administration from Northern Michigan University in Marquette, Michigan. He continued graduate study and research at the Rockefeller School of Public Affairs in Albany. Mr. Eaton has been involved in higher education administration for 40 years. As Vice President of Enrollment Management, he has been the principal architect of New Paltz’s new student recruitment and marketing strategies that have resulted in unprecedented growth in the popularity and selectivity of New Paltz’s undergraduate programs. He has led the institution’s efforts to establish a comprehensive and strategic integrated brand marketing strategy for the campus. Additionally, Mr. Eaton has been involved with the development of overseas programs and exchange agreements with universities and colleges in England, Germany, Sweden, Greece, the Czech Republic, and China. David Eaton is an avid outdoorsman, boater, cyclist, Alpine skier, a musician, and the father of three children; all of whom, to his relief, have successfully completed one or more university degrees and are gainfully employed in the profession of their choice. Scott Johnson is a long time member and Past President of the Hudson River Maritime Museum’s board of Trustees. A retiree from the financial services industry, he is a midwestern transplant to Kingston and has spent his adult life here working and raising a family. A History Major in college, Scott has maintained a lifelong interest in that and related topics. 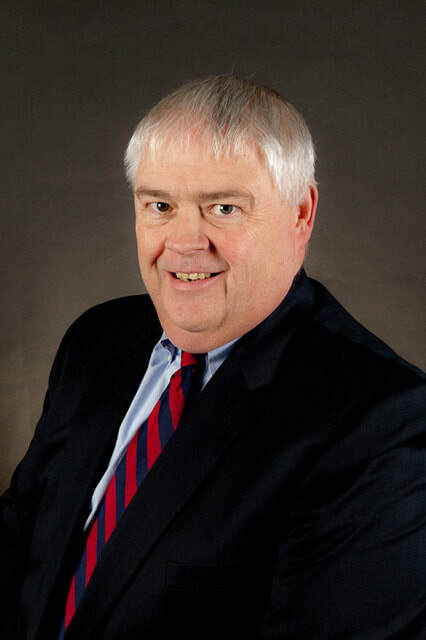 He is a Past President of the YMCA of Kingston and Ulster County Board of Directors and was Chairman of the City of Kingston Zoning Board of Appeals for many years. He has served as a volunteer to several other charitable organizations and boards over the years. Scott is the Head Coach of the Kingston High School Rowing Team, a Fitness Instructor at the Y, an Instructor at the Yoga House and a Snowsports Instructor at Belleayre Mountain Ski Area. He’s also a Coach for the Rondout Rowing Club. Demetrios Karayannides is a graduate of Hobart College with a Bachelor's of Arts in Economics. He worked at National Shipping NYC (Greek shipowner of 12 cargo vessels) in their Legal & Insurance Department for five years, and N.E. 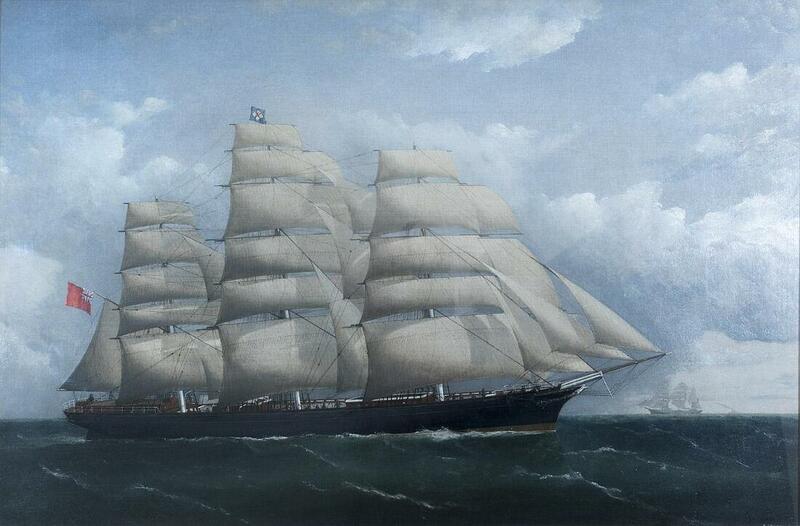 Marcou Shipping Agencies, London (Greek shipowner of 4 ships) including operations for five years. Thereafter, he founded Karay Metals Inc., NYC & Woodstock, importer & distributor of tubular steel products. Demetrios enjoys hiking, watercolors, and local history. Mark Peckham is a lifelong maritime history enthusiast who lives with his wife Shauna in the historic Hudson River hamlet of New Baltimore. He retired in 2015 from a career in Historic Preservation, where he was employed by the City of Seattle, an Albany architectural firm, and the New York State Division for Historic Preservation. While employed by New York State he served as the National Register Program Coordinator, Field Services Bureau Director and Bureau of Historic Sites Director. He also served as Executive Secretary to the New York State Board for Historic Preservation and as a member of the Erie Canalway National Heritage Corridor Commission. In addition to history, Mark enjoys sailing, illustration and carving ship models. David A. Price - Retired from J.P. Morgan, David spent his entire career in various sales and marketing roles. Starting at Pan American World Airways, which provided the opportunity to travel the world, David also served in senior account management roles at DFS, SSC&B and Ketchum advertising agencies as well as his own agency Crew Communications that listed AT&T, Ricoh and Price Waterhouse among its clients. David’s interest in preserving classic wooden boats led to his affiliation with the Hudson River Maritime Museum. Dan Proctor is the Principal of ProctorRobbins, LLC. a management consulting company with clients in the United States and the Kingdom of Saudi Arabia. He is a Commander, United States Navy retired and was the director of the Lockheed Martin Transportation and Security Solutions company in Manhattan, and subsequently a vice president and director of the Manhattan office of Ross & Baruzzini, Inc. -- a global full-service engineering and design company. Dan is a member of Rip Van Winkle Council for the Sea Scouts and a member of the Planning and Rail Trail Boards for Marbletown, NY. He has been an active member of the HRMM Board of Trustees for three years. Jim Sperry joined the HRMM board in 2017. He is a Registered Landscape Architect recently relocated to Kingston from the Hartford Connecticut area. A graduate of Syracuse University and SUNY College of Environmental Science and Forestry, his career of over 40 years has provided the opportunity to design large scale planned community developments, golf courses, college campus expansions, corporate office facilities, schools and municipal centers in Arizona, Colorado, Connecticut, Massachusetts, New York and Rhode Island. Jim's interest in classic boats, restoration, construction and history of the Hudson River Valley led him to the Museum and Boat Building School. His interests include biking, camping, hiking and water related activities. Francesca Szabadi’s interests in museum collections, fine art, and the Hudson River have led her to serve on the HRMM Board. She regularly rows on the Rondout Creek and Hudson River with the Rondout Rowing Club. Professionally, she has many years of executive-level administrative experience in the finance, corporate, and not-for-profit industries. She holds a Bachelor of Science degree in Environmental Studies with concentrations in environmental design and landscape architecture from SUNY College Environmental Science and Forestry and a program certificate from Harvard University Graduate School of Design. She is a graduate of the Ulster Leadership Development Institute and has volunteered for several organizations in the Hudson Valley. She is a long-time volunteer classroom educator for Junior Achievement, teaching children financial literacy, work readiness and entrepreneurship, and served on the Junior Achievement Advisory Committee of Northeastern New York. She keeps active during the non-rowing months as a ski instructor for Belleayre Mountain Ski Center. Jack Weeks, MD is a lifelong resident of the Hudson Valley having grown up as the oldest of three very active brothers in Amenia in Dutchess County. Following high school, he served in The US Army from 1969-1971. He was in Vietnam as an infantry sergeant and medic. He received a bachelors degree from Syracuse University in 1975, and did his premedical studies at Columbia’s College of General Studies in NYC. In 1981 he received his medical degree from the University of Virginia, where he met his wife Elizabeth (Tebbie). 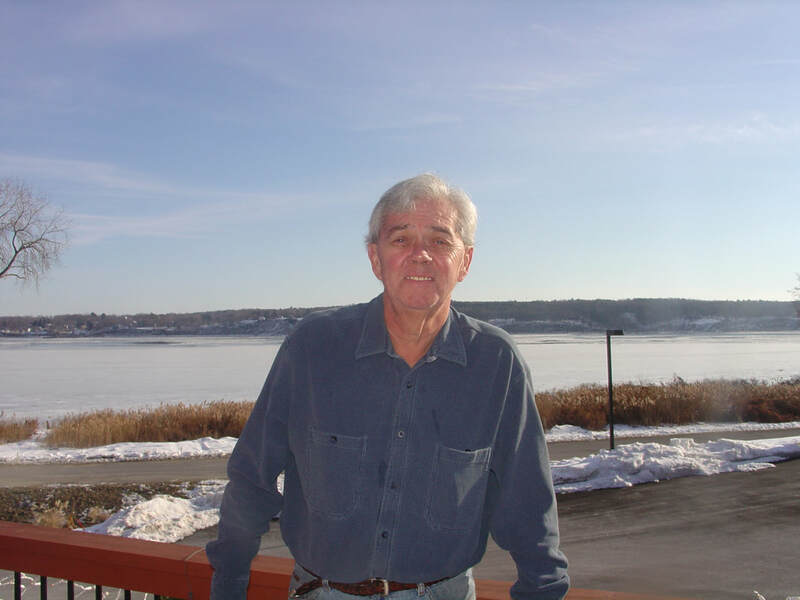 Jack practiced medicine in Kingston as a family doctor for 30 years before retiring in 2014. He was board certified in both family medicine and geriatrics. He attended patients at both Kingston Hospital and Benedicitine where he was chair of the Family Practice Department for a number of years. He was also a clinical assistant professor of Family Practice at NY Medical College, and created the 3rd Year rural Family Medicine Clerkship program in Kingston for the medical school. Jack was on the board of the Kingston Hospital as well as president of the board of the Hudson River Maritime Museum. He lives in Kingston with his wife Tebbie and daughter Beth. He loves to build things, run his saw mill, sail, and work with the “guys” at the boat school. Ian Westergren, born and educated in Sweden, spent the first 25 years of his career in journalism as a reporter, editor and foreign correspondent for United Press International overseas and in the United States. He started his own software and information company 30 years ago and is still active as the Executive Chairman of SPW, Inc., also known as The Sports Wire. Ian, a past Commodore of the Kingston Sailing Club, owned his first sailboat as a teenager in Sweden and has been been an avid sailor all his life and is still racing sailboats on the Hudson River and Long Island Sound. He lives on the river in Port Ewen, New York, minutes away from the Roundout marina where he keeps his boat “Puck” – named after the character in Shakespeare’s “A Midsummer Night’s Dream”. Dale Wolfield joined the HRMM board in 2007. She serves as advisory for Vessel Donations/Sales and Riverport Sailing & Rowing School, supports HRMM social media and attends to the gardens at the museum and boat school. She operates the water chestnut harvester as part of the invasive species eradication program for the Town of Esopus as well as serving on its Waterfront Advisory Board. Past service includes with Woodstock Artists Association and Museum board where she is a life member. Dale actively participates in one design yacht racing and off-shore regattas and has served as a sailing instructor, delivery captain and captain for local commercial ventures. A graduate of SUNY New Paltz and an exhibiting artist, she has 30 years of experience in visual arts education at the secondary and university level. An avid skier, she volunteers with a local Ski Patrol in the winter months. In 2017, the Hudson River Maritime Museum invited all board members who ever served to join a special Honor Board. As the Hudson River Maritime Museum looks to the future, we wish to honor those who have served the organization. We look to these former board members for their wisdom and experience as we continue to grow. If you have ever served on the Board of Trustees for the Hudson River Maritime Museum and would like to join the Honor Board, please contact Ellie Burhans at eburhans@hrmm.org.